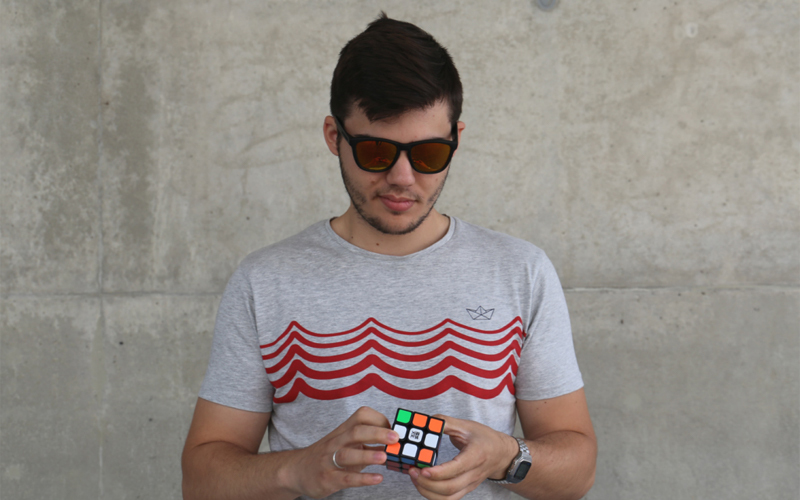 I am Alberto Cantallops Navarro, I am 24 years old, and I was born in Majorca, Spain. I grew up, studied and worked there until the end of the last year. 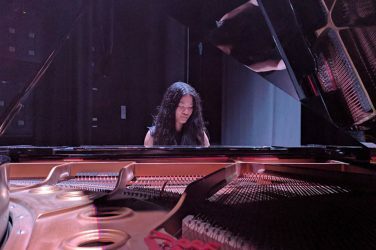 I studied Computer Science at the Balearic Islands University in Majorca, Spain and I graduated in 2016. Before I graduated, I got a job developing iOS apps. And I have been developing iOS apps since then. Currently, I work at Mercari (http://mercari.com/jp/), located in Tokyo, as an iOS Engineer. When I was a kid, I remember my father being good at technology. I became interested in technology and gradually I became good at it – I was the IT guy in my family before even starting college. So the next step was to sign up to study Computer Science. At first, I was interested in making websites (backend and front) but when I got the iOS offer, I wanted to try it. I really loved it. Outside of my job, I have a hot air balloon licence and I love to travel. Flying hot air balloons is a way of travelling that makes you enjoy the views in a different way. 4 years ago, I was given a hot air balloon ticket for my birthday. Since then, I became friends with the pilot. Because I am “good” at computers, the pilot offered me to go with him to championships as a flight assistant to help him with the tasks. I studied it in Igualada, which is a town close to Barcelona, Spain. 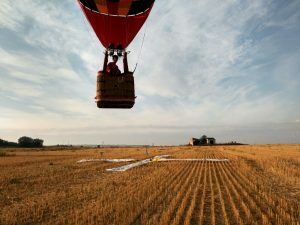 In Igualada, there is one of the biggest hot air balloons manufacturers, UltraMagic. Our balloons are designed to carry between 4 and 16 passengers. My license only allows me to fly with 4 people + me. But this depends on the balloon. The ones that I fly with usually only have the capacity for 3 passengers. 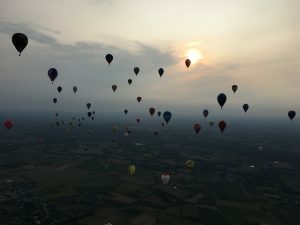 The main parts of a hot air balloon are the envelope, the basket, the burners, and the gas in bottles. And, at least in Spain (and this also depends on the manufacturer), you need to have in the basket a compass (to know the direction of the balloon), a map (paper or digital one to place you in it), an altimeter (to measure the altitude), a variometer (to measure the vertical velocity), something to initiate a fire like a lighter (in case of the malfunction of the burners), gloves, and a fire extinguisher. It is recommended to have also a knife (to cut ropes in case of an emergency). There are a lot of steps involved in a hot air balloon flight. Once you are sure of your itinerary, it is necessary to find a dry field to extend the envelope (in the direction of the wind on the surface) and attach it to the basket with carabiners. Once it is all secured, it is time to inflate it with air (at ambient temperature) using big fans. When the balloon is in a vertical position, it is necessary to check the balloon for anomalies and test the “parachute” (the mechanism to let the hot air escape the envelope and the way the balloon can descend). Once it is safe to take off, a burner is used to raise the temperature inside and make the balloon ascend smoothly. Once in the air and checked, there are no obstacles – the rest of the flight is the least stressful part. The actual flight time averages an hour. During the flight, it is necessary to periodically check the equipment and your environment to not hit anything (power line is the number one enemy of the balloons). 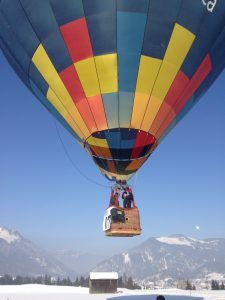 During the flight, depending on the balloon, it is necessary to change the source of the gas from one bottle to another (this when possible should be done when the balloon is ascending). And now it is time to land. In the small balloons (the ones I am allowed to pilot), once there are only 2 gas bottles left to land safely, the pilot starts to look for a field to land it. 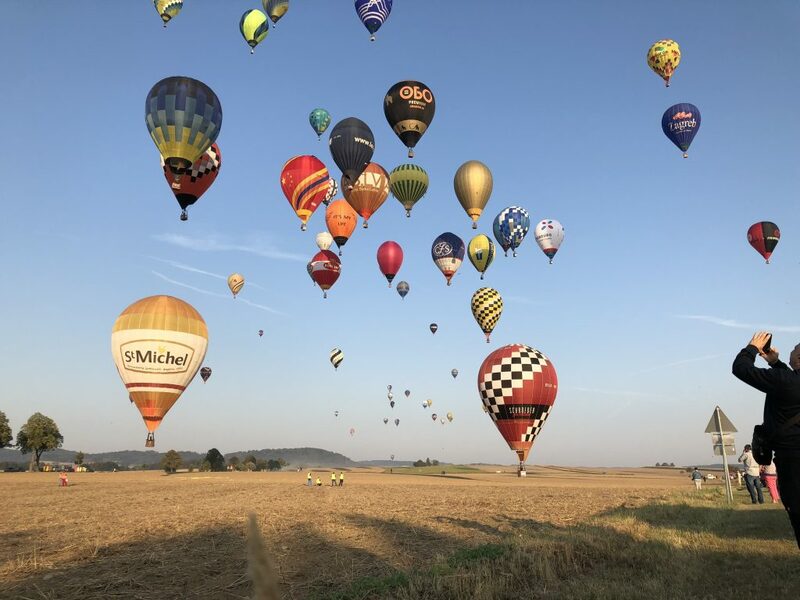 The best way (in a non-windy day) is to allow the balloon to descend slowly – when you are close to the ground, it is time to use the “parachute” and turn off all of the burners but one. And once the balloon hits the ground, the other one should be turned off to avoid starting a fire. If it is not windy, the balloon will stay vertically – to keep in good conditions, the balloon the pilot needs help from someone on the ground to take down the envelope. 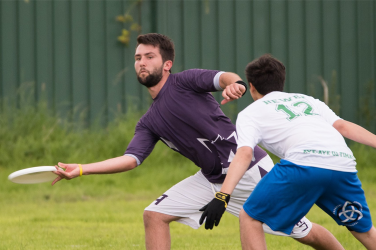 Brissac-Quincé in France also for the Europeans championship. My favourite thing about flying a hot air balloon is seeing the landscape in a new way. My future goal is to get the commercial licence to be able to fly with customers – that way, I will be able to make money while I enjoy one of my hobbies. I also want to fly in Japan, Southeast Asia, and Turkey. What all of them have in common is that the landscape is really different from a European one. Of course, I would love to fly everywhere. For anyone who wants to become a hot air balloon pilot, you have to study a lot and the license is not cheap. You also need to make a certain number of hours flight time (depends on the licence and the country) to maintain it. So my advice is that you have to love it – if not, it will be better to fly as a passenger. Tech is not all and it will never be all. Technology is only a means to perform other things. Nowadays, tech is important in almost every aspect of our lives but it is not all – it is only a tool to help people to do things fast and efficiently, if it is used correctly of course. Flying has allowed me to focus on other things for a while and to get distracted from work. Flying has definitely helped make me happier.